Thank you to all of our supporters. The first ever Collective Project had its run in October 2012 at Camden People’s Theatre. 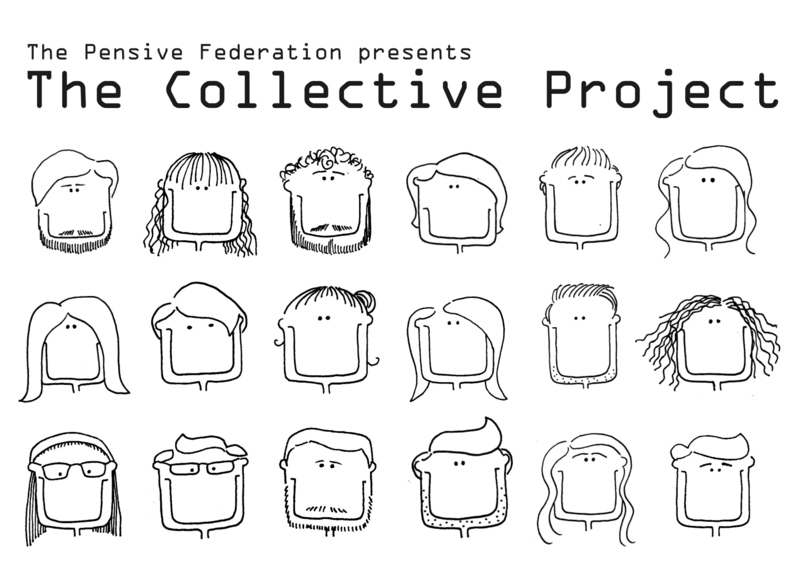 Stay tuned for The Collective Project 2013. It was a truly collaborative with the same six actors in each piece, writers initially working as a team before each piece was taken by a director to be workshopped with the actors. All whilst seeking the magic in the mundane. The Collective Company 2012 was Tutku Barbaros, Oliver Britten, Mike Carter, Polly Churchill, John-Paul Conway, Siân Gordon, Serena Haywood, Adam Christopher Martin, Nick Myles, Danielle Nott, Cat Robey, Carly Sheppard, Ben Vardy & Vanessa Wilkins. This talented collective included Old Vic New Voices alumni; OFF West End Award nominees; Redfest and Offcut festival finalists and participants in this year’s Camden and Edinburgh Fringes. The Collective Project intro from The Pensive Federation on Vimeo.